The list of novelties never stops at NBA 2K. While the modes MyGM and MyLeague seemed well filled, 2K18 should be the opportunity for them to take even thicker. It is Forbes who has found the list of novelties, and some are very tempting. The first is that the MyGM mode will now be accompanied by a story that will evolve according to your reactions. A story told by small cutscenes. More concrete options will also be proposed in MyGM. G-League Integration: The G-League will now be available. In particular, it will show non-drafted players, which will make it impossible to see them simply disappear after the Draft. Two-Way Contracts: The "two-way" contracts also arrive with the G-League. Draft and Stash: Drafter a player signed in international prospects, let him develop on the spot before he comes? It will finally be possible! Alternate Uniforms: By changing the visual identity of a franchise, it will now be possible to add an Alternate Uniform. You can also save the current jerseys as "throwback" and replace them. Selection of the All-Star Game: More anecdotal, but a logic system to select the host city of the All-Star Game will now be present. Customization of MyLeague Online Teams: Color change options for teams will be available online. 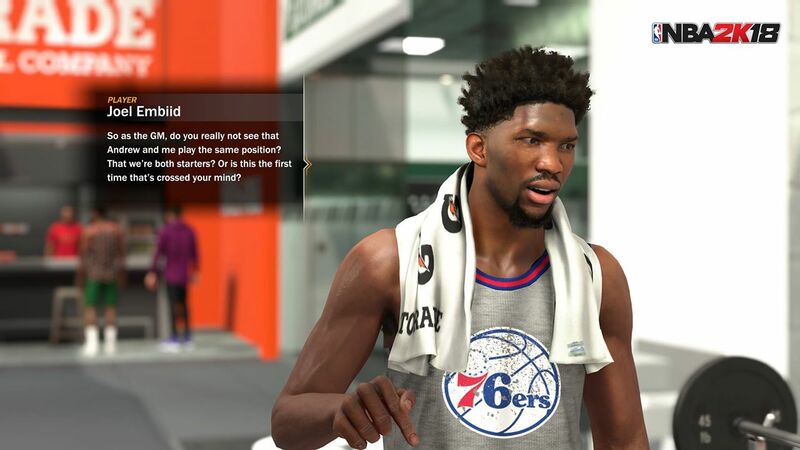 Players Create in MyLeague: you can now add players created in this mode. New CBA: Obviously, the new contracts will be introduced. 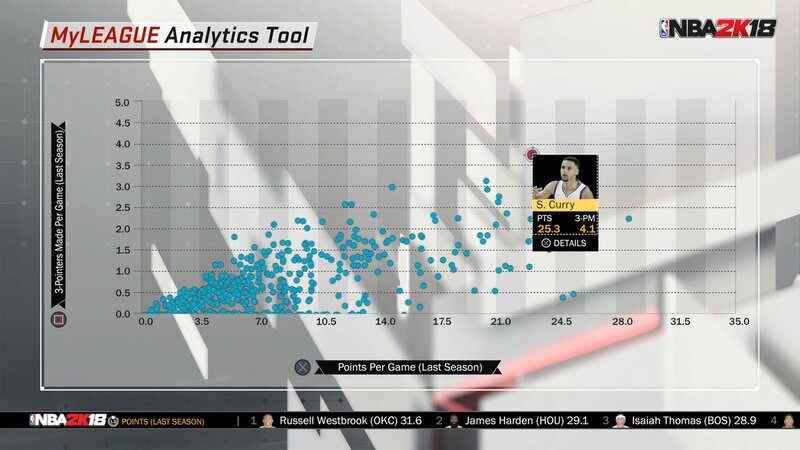 Analytics Tool: New sets will allow you to image all the stats of your players. From the simplest to the most advanced. 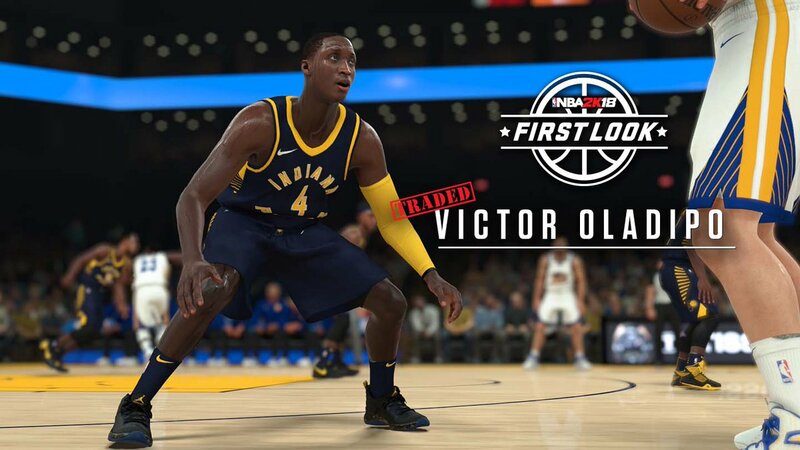 Get your first look at Victor Oladipo in the brand new Indiana Pacers uniform in NBA 2K18! 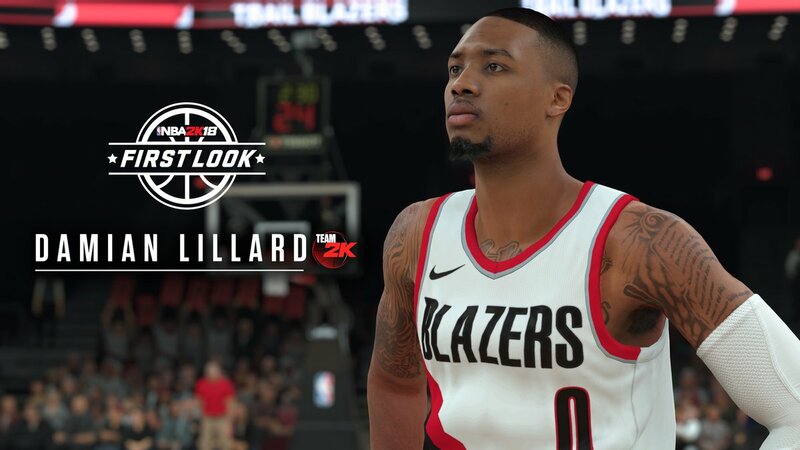 Here is your first look at Trail Blazers' Damian Lillard in NBA 2K18!